Yes, a sequel 31 years after the original release is on its way. The 1988 film had Eddie Murphy playing a pampered African Prince who travels to New York City to find someone he loves in order to avoid an arranged marriage. Joining Murphy were Arsenio Hall, James Earl Jones, Shari Headley, and John Amos. Coming to America was a major hit and grossed over 400 million worldwide. 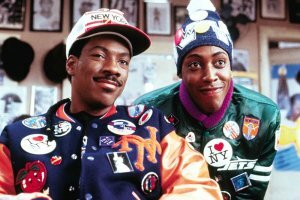 The new movie, named Coming 2 America, sees Prince Akeem (Murphy) having to return to New York after he learns about a long lost son – the new heir to his throne of Zamunda. Arsenio Hall, who played the prince’s aide, is on board, as is James Earl Jones, who played Akeem’s father. It is yet unconfirmed whether Shari Headley, who played Akeem’s love interest, has signed on, and John Amos, who played her father, has recently spoke about his interest in reprising his role in the sequel. As of yet, there has been no mention of a release date to Coming 2 America.